The San Jose State University full-time MBA at Lucas Graduate School of Business—better known as the Early Career MBA—offers evening and Saturday classes at the San Jose State University main campus, with a cohort structure designed to optimize learning. The College of Business offers general MBA programs. The full-time MBA is offered once a year starting in fall with classes beginning in late August, and spans 21-24 months. The Accelerated full-time MBA is a fast-paced program with 2-3 courses per session with 6-8 weeks of courses per class. The program is offered once a year starting in fall, and spans 12 months. The San Jose State University full-time/Early Career MBA curriculum consists of 42 semester credit units containing 11 core courses and four electives. The core courses are often prerequisites to electives, and include Business Communications, Managing in the Global Economy, Developing and Managing People, Financial and Managerial Accounting, Marketing Management, Law and Ethics, Managerial Decision Analysis, Silicon Valley Experience, Financial Management, Operations and Supply Chain Management and Strategic Thinking. Students must take a minimum of four classes (12 units) of elective coursework. Elective courses are offered in the following disciplines: Accounting, Finance, Marketing, Organizational Development, Global Business Development, Entrepreneurship and Venture Development, Information Systems and Operations Management. Students are encouraged to participate in an international semester, studying with partnering schools during the summer term. The typical San Jose State University full-time MBA class is 47 percent female and 53 percent male. The average GMAT scores and GPA earned by students are 572 and 3.37 respectively. The average age of students enrolled in the program is 26. In conjunction with San Jose State University’s Career Center, the Lucas Graduate School of Business has its own Career Consultant who works directly with MBA students to provide career advice and help with the job search. Office hours, workshops, and other activities are provided to students by the Lucas Career Consultant. The Career Center has a wide range of services from resume writing and interview counseling to career fairs and expos that bring employers to campus. The services are offered continuously throughout the academic year. 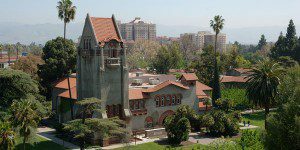 The total cost of tuition for the San Jose State University full-time MBA is $32,721 for California residents and $49,350 out-of-state students. The total cost of tuition for the Accelerated MBA program is $25,072 for in-state residents and $41,704 for out-of-state residents. Conventional MBA students may be considered for State University Grants, Graduate Professional Business Grants, and Federal Direct Stafford Loans. If additional funds are needed, students may apply for the Graduate Plus Loan based on credit rating. Accelerated MBA students may be considered for Federal Direct Stafford Loans. If additional funds are needed, students may apply for the Graduate Plus Loan based on credit rating. Applicants to the MBA programs must have completed a Baccalaureate degree or recognized qualifications equivalent to a degree. Students must have maintained a GPA of at least 3.0 to apply. To apply to the San Jose State University full-time MBA program, applicants must submit a completed application form and current résumé. Students must also have earned a B or higher in their macroeconomics, microeconomics or business statistics class—and the class must have been completed within the last seven years. Letters of recommendation are optional, but may be requested for some applicants. The school also requires applicants to submit a personal statement. Official GMAT score or GRE scores must also be sent in by applicants, along with a $55 application fee. Non-native English speaking students must provide either TOEFL or IELTS test-scores to prove English fluency.